Fast and Accurate, Every Time! The Independent Distributor Alliance specializes in getting men and women just like you ready to start your route delivery and earning money. Our process, created by experienced people, has the quickest turn-around and at the lowest cost in the distributor. Click the button below to get started, and we’ll see to it that you are the most well informed route distributor you can be. Your EIN is how the IRS identifies your company. Once you get your hands on it, you’ll use your EIN to do things that would usually require your Social Security number, so this actually protects your privacy. To be considered a Partnership, LLC, Corporation, S Corporation, Non-profit, etc. you must must obtain an EIN. If you start a business without an EIN, you will be considered a sole proprietorship, and your personal social security number will be used on any tax documents. Financial institutions such as banks, credit unions, and brokerage houses will not open an account for a corporation without an EIN. Since all corporations – including ones with zero dollars in income yet – must file at least a federal income tax return, a corporation operating or incorporated in the United States generally must obtain an EIN anyway either before or after being issued its charter. EINs do not expire. Once an EIN has been issued to an entity, it will not be reissued. Your IDA Membership includes the filing of your EIN or Employer Identification Number with the IRS. 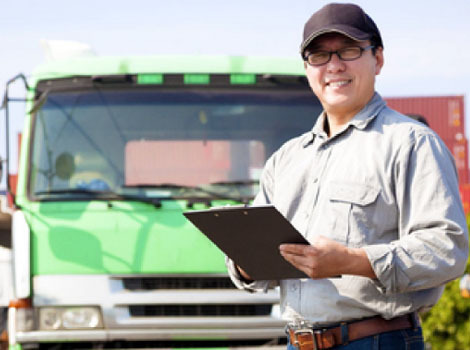 This is an important item that is necessary for your formation to be complete and for you to move ahead in the purchase process for your route. If done incorrectly it can cause delays and is difficult to correct. IDA’s experienced staff will take care of this for you. The IDA is your single source solution for everything needed to make sure your new business is formed correctly and quickly.